Nov. 2, 2014. 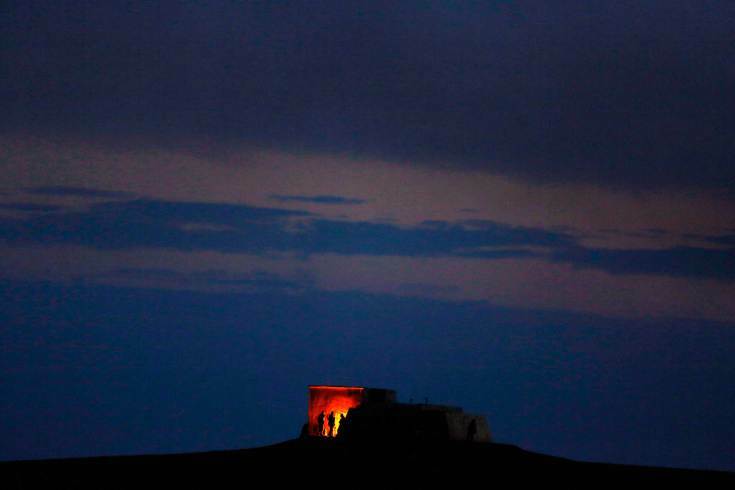 Turkish soldiers keep warm atop a hill overlooking the Syrian town of Kobani, near the Mursitpinar border crossing on the Turkish-Syrian border in the southeastern town of Suruc in Sanliurfa Province. Nov. 2, 2014. 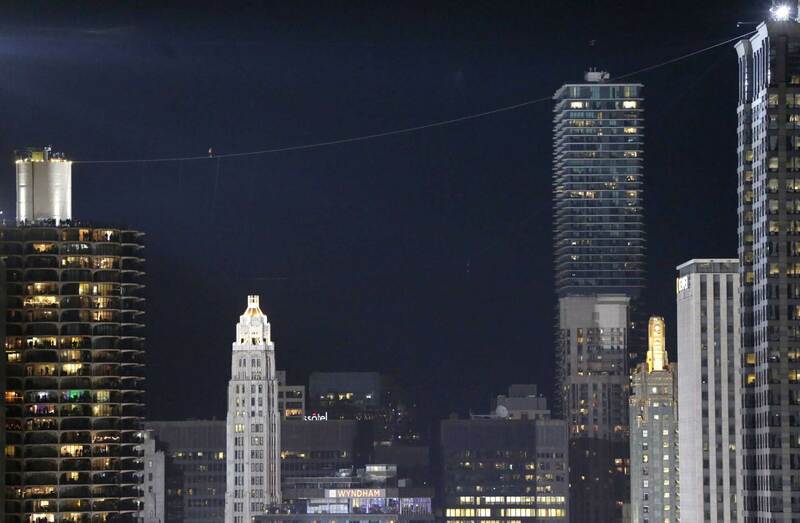 Daredevil Nik Wallenda, left center in red, makes his tightrope walk uphill at a 19-degree angle, from the west tower at Marina City across the Chicago River to the top of the Leo Burnett Building in Chicago. Nov. 4, 2014. 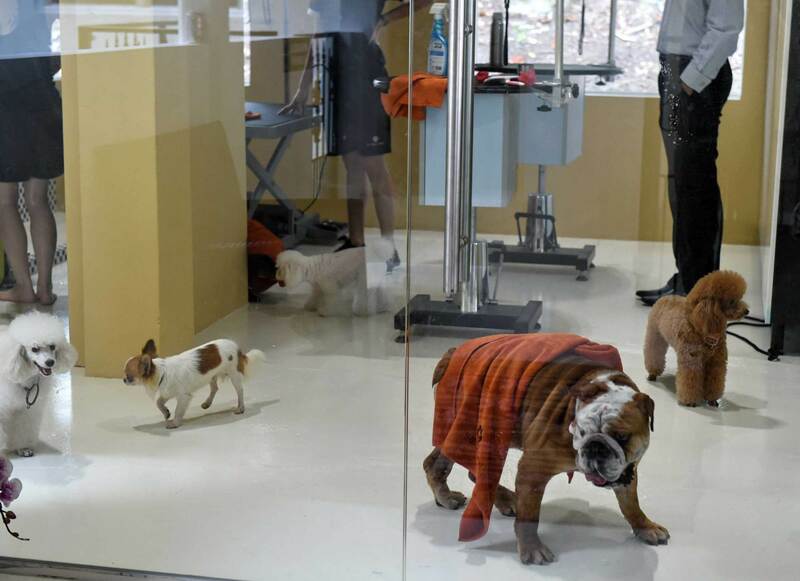 Dogs trot around in a spa and grooming room at The Wagington Luxury Pet Hotel in Singapore on its opening day, giving wealthy pet owners a new option to pamper their furry companions. 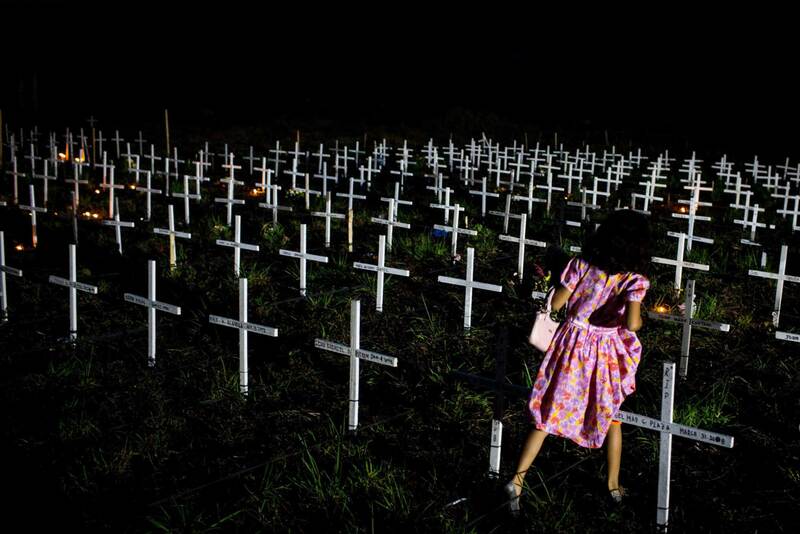 TACLOBAN, LEYTE, PHILIPPINES – NOVEMBER 02: A young girl walks between crosses as she tries to find the grave of a loved one at a newly constructed mass grave for 3,000 typhoon Haiyan victims on the grounds of the Holy Cross Cemetary during All Souls Day on November 2, 2014 in Tacloban, Leyte, Philippines. Filipinos descend on cemetaries all across the country to tend to the graves of loved ones on November 1-2 marking All Saints day and All Souls day. Residents of Leyte are preparing for the 1-year anniversary since Super Typhoon Yolanda struck the coast on November 8, 2013, leaving more than 6000 dead and many more homeless. Nov. 5, 2014. Starlings in the Scottish Borders. Tens of thousands of starlings start their murmuration, with Criffel mountain in the background, as dusk falls near Gretna Green on the England and Scotland border. In this Monday, Nov. 3, 2014 photo taken with smartphone camera, a fallstreak hole forms in the sky over Wonthaggi, Australia. 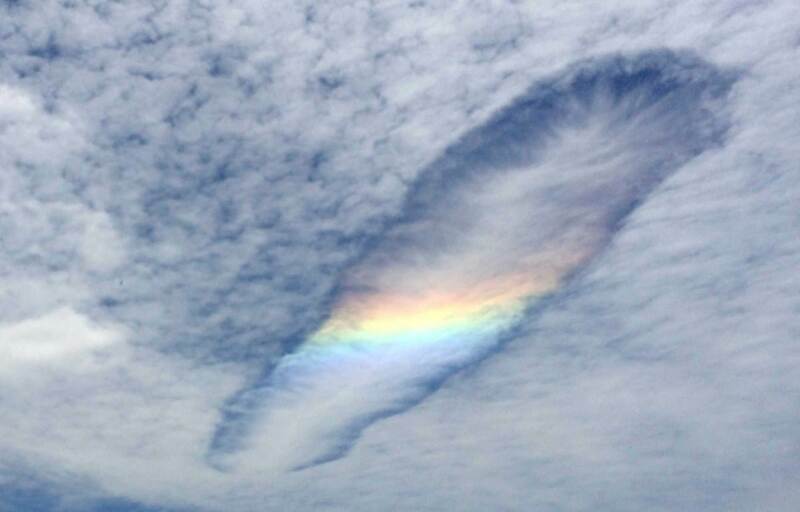 A fallstreak hole is a circular gap that appears in high clouds, when a section of the cloud freezes. The ice crystals are heavy, so they fall out of the cloud, leaving a hole. 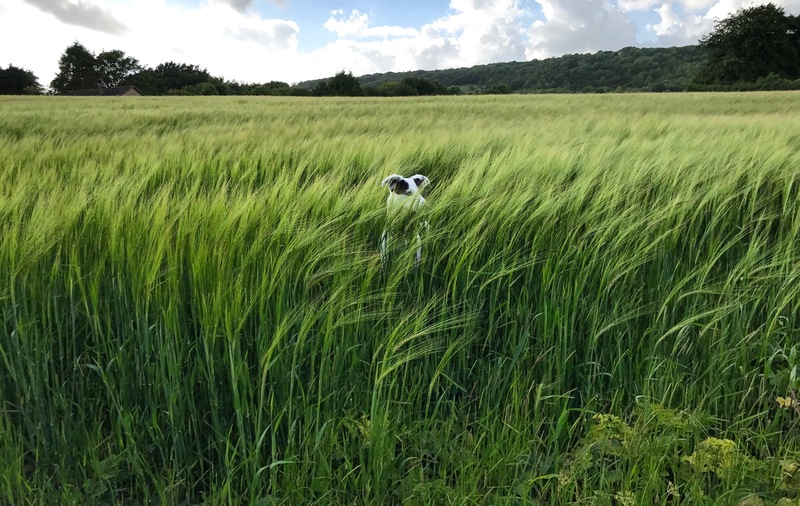 It is a relatively rare phenomenon. Nov. 4, 2014. 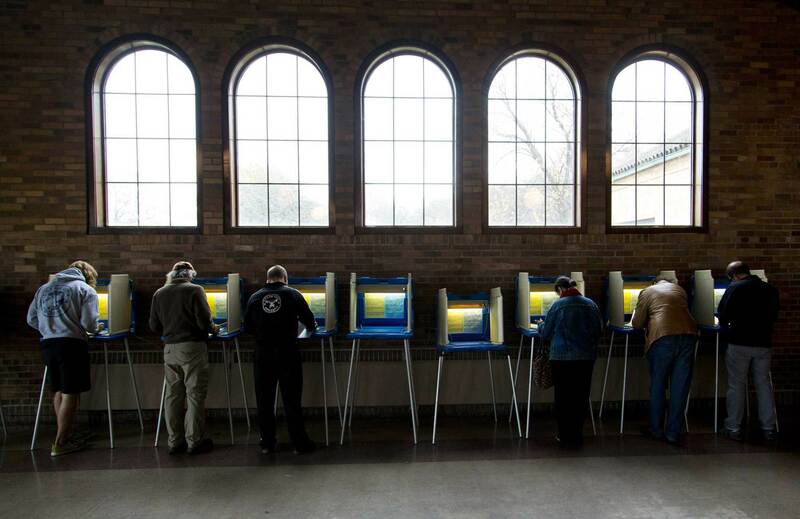 Citizens go to cast their ballots at the South Shore Park building on Election Day in Milwaukee. 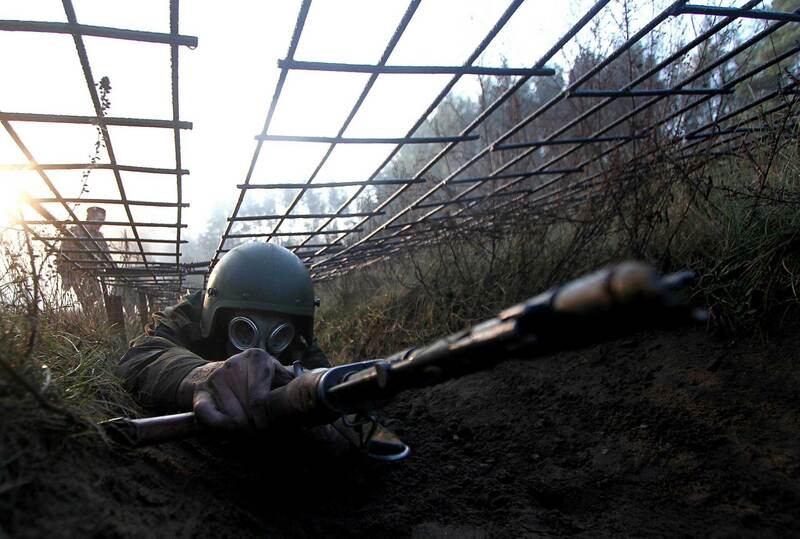 Belarus Interior Ministry troops soldiers take part in the qualifying examinations for the “Madder Beret” headdress outside Minsk, on November 4, 2014. Nov. 4, 2014. 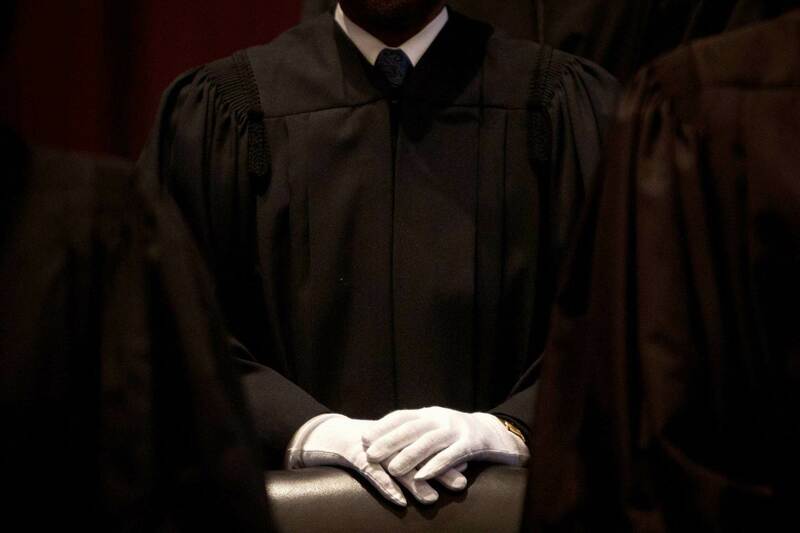 A judge wearing white gloves stands before a special session of the U.S. District Court for the Southern District of New York on the occasion of the 225th anniversary of the first session of the court. 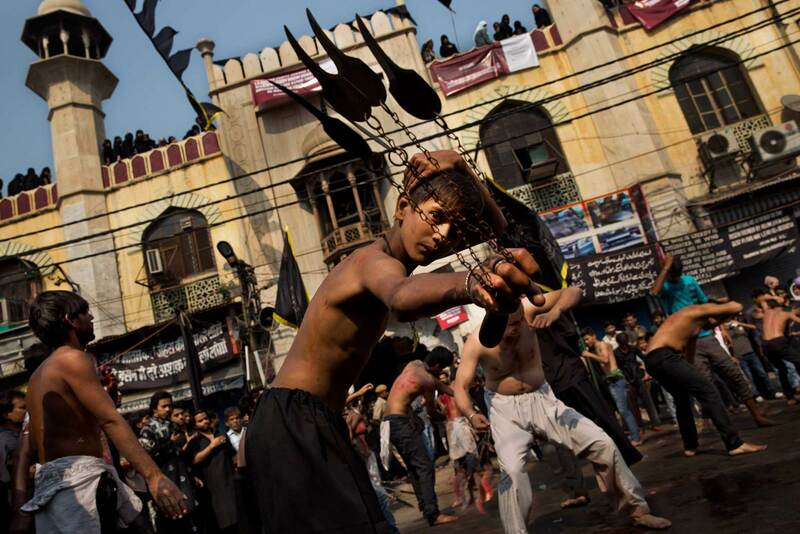 A young Indian Shiite Muslim flagellates himself during a procession to mark Ashoura in New Delhi, India, Tuesday, Nov. 4, 2014. Shiites mark Ashoura, the tenth day of the month of Muharram, to commemorate the Battle of Karbala when Imam Hussein, a grandson of Prophet Muhammad, was killed. Nov. 4, 2014. Pakistani Shiite Muslim immigrants to Greece take part in a religious Ashoura procession in Athens’ Piraeus district. Nov. 6, 2014. 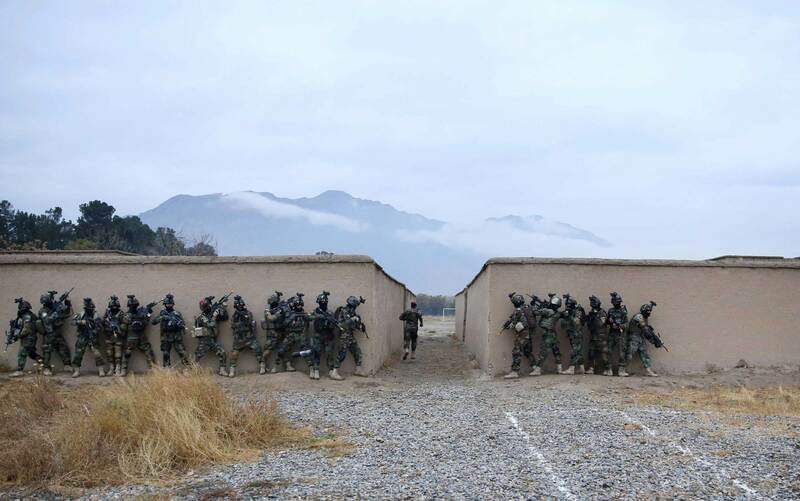 Afghan special forces demonstrate their skills during Secretary General of NATO Jens Stoltenberg’s first visit as the head of NATO at the special forces training camp in Kabul. Oct. 31, 2014. 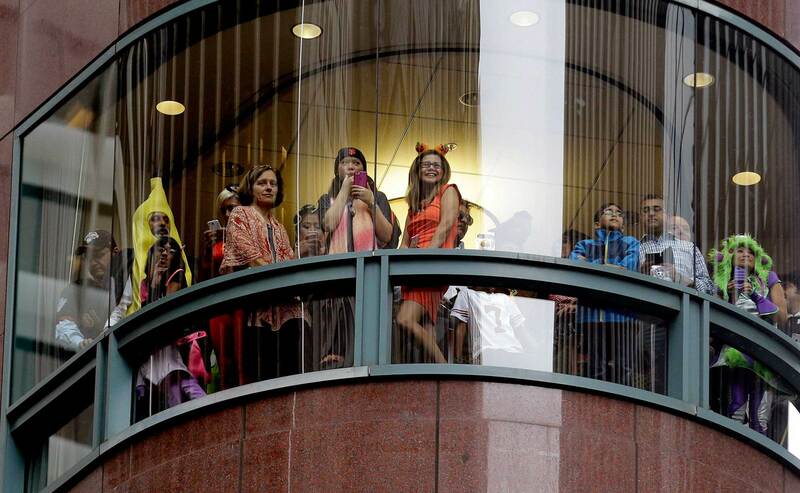 San Francisco Giants fans, some dressed in Halloween costumes, watch the victory parade for the 2014 World Series champions. 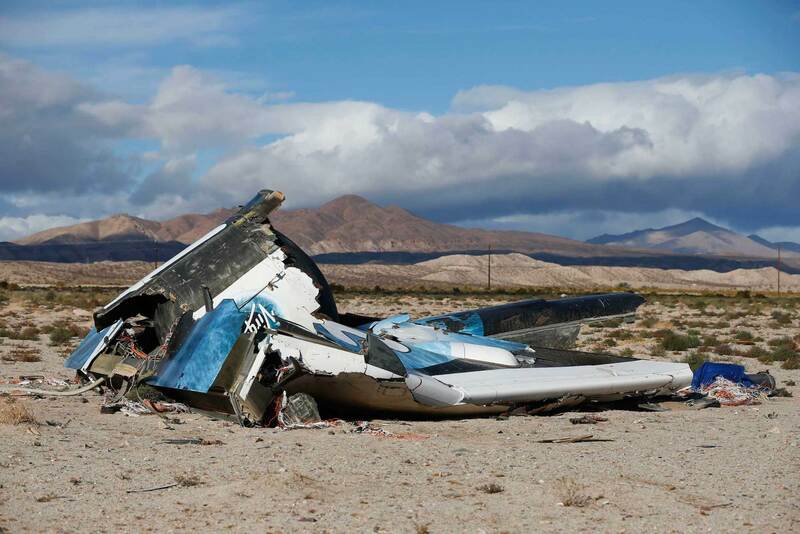 Nov. 1, 2014. 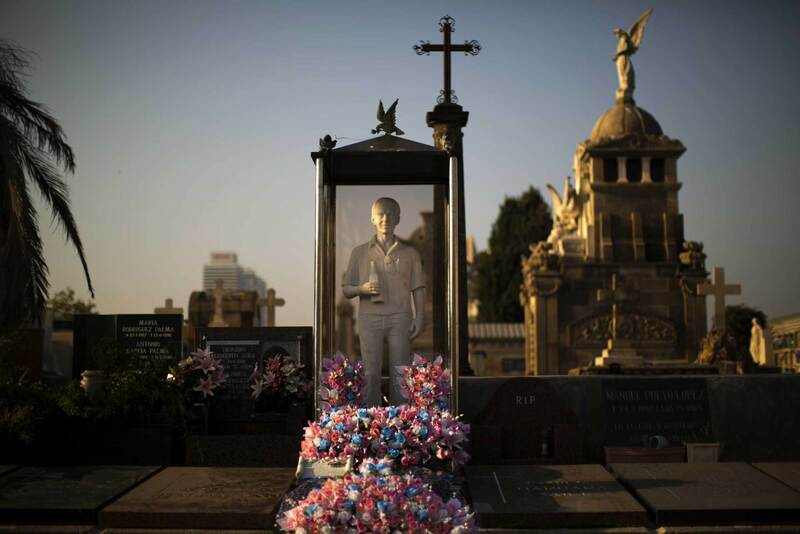 A tomb is decorated with flowers in Barcelona during All Saints Day, a Catholic holiday to reflect on the saints and deceased relatives. Oct. 31, 2014. 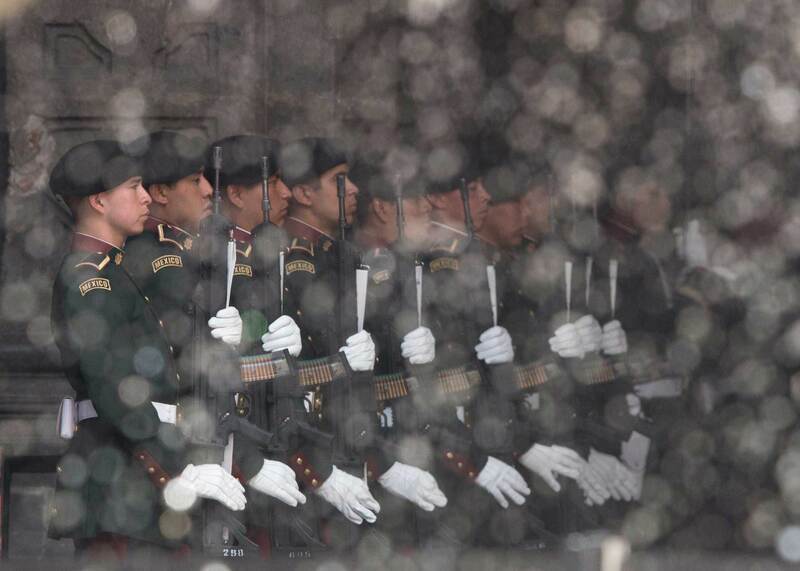 Members of a Mexican honor guard stand behind the spray from a water fountain during a welcoming ceremony for El Salvador’s President Salvador Sánchez Cerén at the National Palace in Mexico City. Nov. 6, 2014. 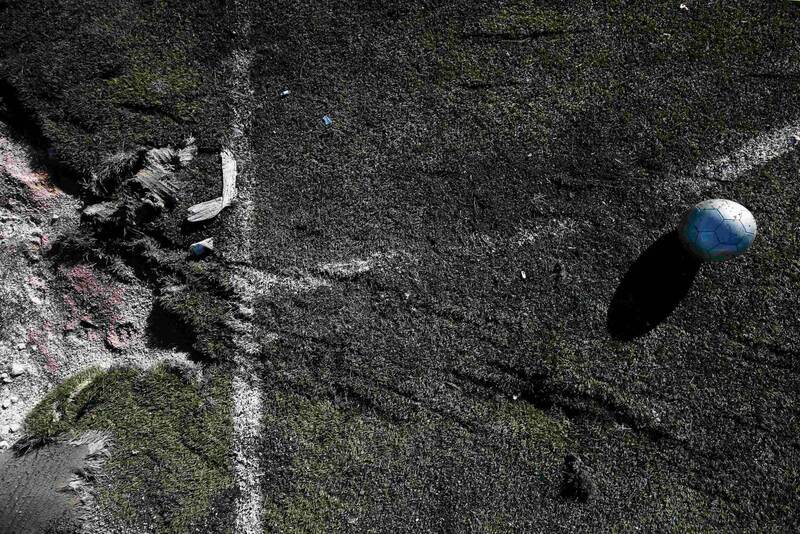 A ball is seen near a crater caused by shelling at a school’s soccer field in Donetsk, eastern Ukraine. Two teenagers died and four were wounded when an artillery shell hit the school’s playing field as they played soccer. 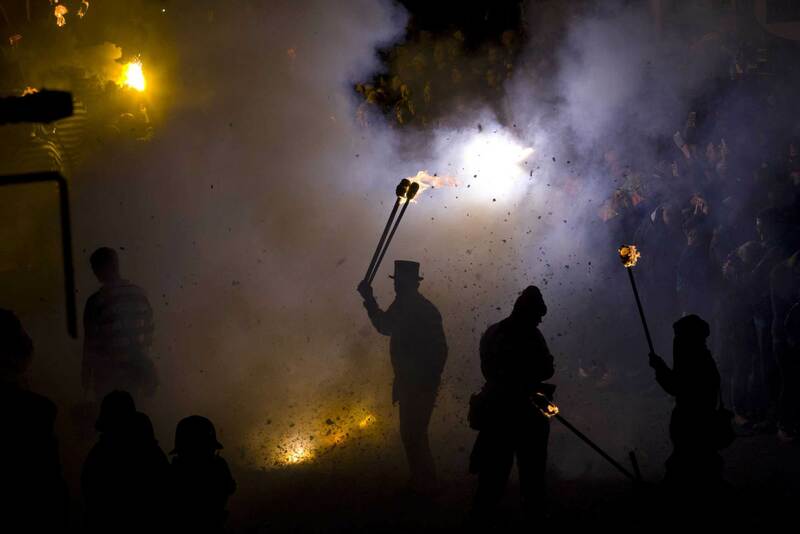 A participant in costume holds aloft a torch as bonfire societies parade through the streets of Lewes in Sussex, on November 5, 2014, during the traditional Bonfire Night celebrations. Bonfire Night is related to the ancient festival of Samhain, the Celtic New Year. Processions held across the South of England culminate in Lewes on November 5, commemorating the memory of the seventeen Protestant martyrs. Thousands of people attend the parade through the narrow streets until the evening comes to an end with the burning of an effigy, or ‘guy,’ usually representing Guy Fawkes, who died in 1605 after an unsuccessful attempt to blow up The Houses of Parliament. Nov. 6, 2014. 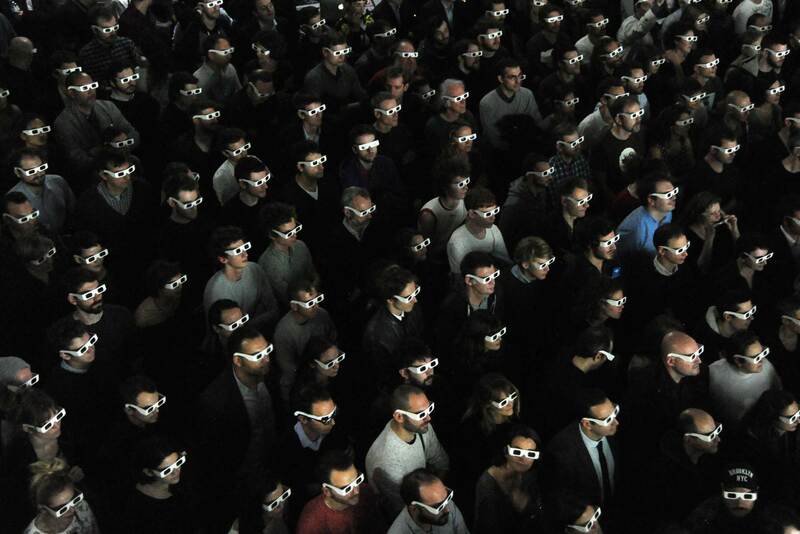 Spectators wearing 3D glasses watch the live concert of the German band Kraftwerk at the Louis Vuitton Art Foundation in Paris. 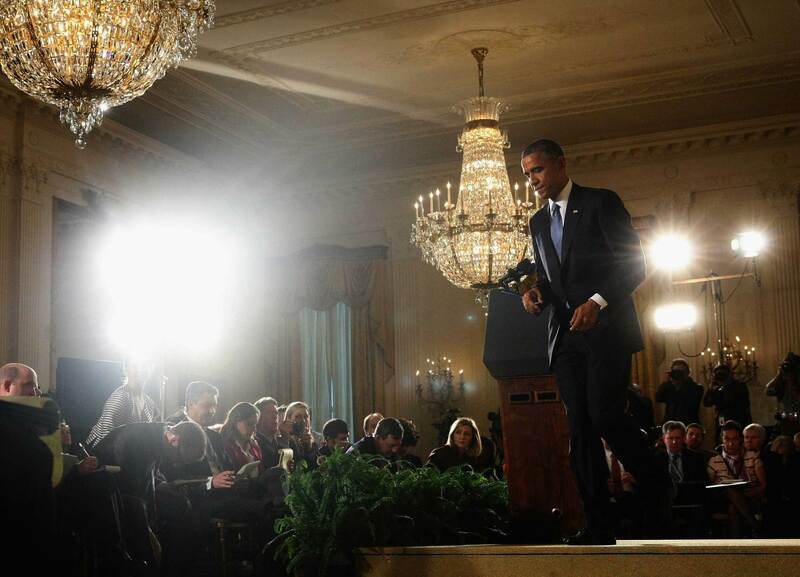 WASHINGTON, DC – NOVEMBER 05: U.S. President Barack Obama walks away after speaking to the media during a news conference in the East Room a day after Democrats lost the US Senate Majority, November 5, 2014 in Washington, DC. Yesterday Republicans won the majority of the US Senate for the first time in 8 years after Americans went to the polls and voted in the mid-term elections. Nov. 7, 2014. 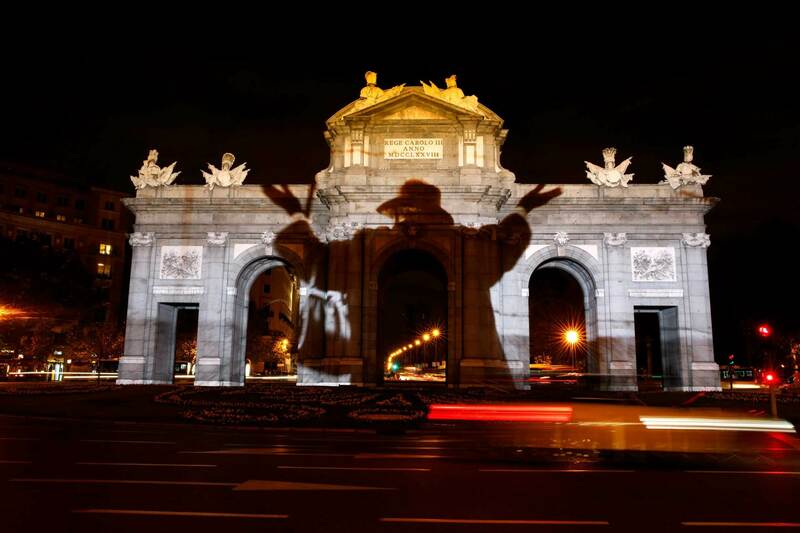 A historic image commemorating the former Berlin Wall is projected on Alcala Gate in Madrid. Germany will celebrate the 25th anniversary of the fall of the wall on November 9. Nov. 6, 2014. 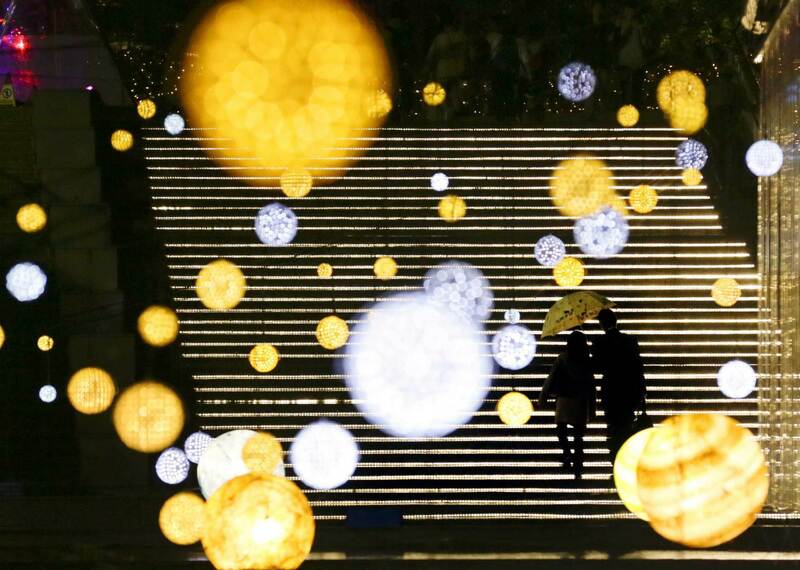 A couple under an umbrella walk amid Christmas illuminations in Tokyo, Japan. 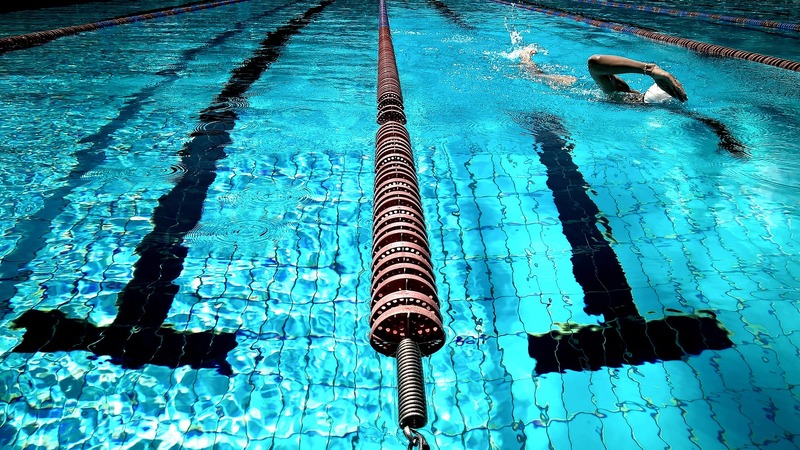 This entry was posted in Funny and tagged 31-7, Cnn news, octomber november, Photo article, PHotos, Time, Time mag, Week news, Week photos, weekly photos 31-7.